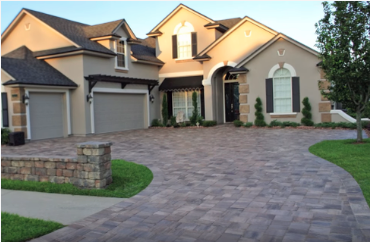 Paving your driveway is the best way to improve your outdoor areas. Paving stones are known to improve the overall curb appeal of your home while being sturdy and easy to maintain. We use some of the best paving stones on the market to deliver stunning results that last for years. Every time we build a new driveway, we pay attention to even the smallest of details in order for the customer and future visitors to be positively impressed by the quality of the paving. 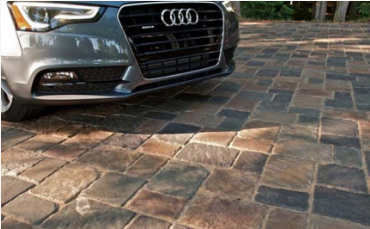 Considering paving stones for your driveway is a smart decision that yields numerous benefits such as increasing your property value, especially if you are planning to resell it in the near future. But also the fact that paving stones are four times more resistant than concrete on average and allow for a better weight distribution. It is also a lot cheaper to repair a driveway made from paving stones. In fact, paving stones are an investment you make for the long term. It is not only elegant way to accent your home but one that will pay you back over time. Apart from paving stones, we are also specialized in brick paving. The brick paver systems we offer would easily match the quality that the Romans used to produce! Brick driveways will add a lot of charm to your property. It looks traditional and everyone loves its distinctive red color. Stylish and timeless: that’s what brick driveways are all about. You can ask us about interlocking brick paving and Chicago bricks, a special kind of brick that is popular across the country. It is a good choice if you like reclaimed brick and want to add an “industrial” flair to your driveway. A variety of tones and shades are available when choosing the look of your next brick driveway. We focus specifically on both paving stones and bricks because we believe that they hold more long-term value for our customers. We also believe that your driveway should be designed to mesh with your home aesthetics and represent great value throughout. Vehicular traffic is another important aspect where we have a lot of experience and knowledge. Our specialists know exactly how to match width and thickness for optimal results. There are several rules that shouldn’t be violated otherwise it could negate the manufacturer’s warranty. ​Call us today at 321-280-9011 to learn more about the services offered by our pavers. We are here to answer your most pressing questions. You can also fill out the inquiry form on our website in order to contact us. Get your free estimate and see for yourself how competitive our prices are in comparison with similar paving companies in the area. We work with homeowners but also business owners who want to improve their commercial premises’ outdoor areas. Our company covers not only Melbourne but also surrounding cities such as Palm Bay, West Melbourne, Indian Harbour Beach, Palm Shores, Melbourne Village, Merritt Island and more cities and communities nearby.